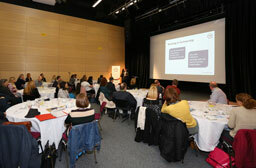 Employers, training providers and representatives from across the education and skills sector attended the meeting at Sunderland College, where they heard from One Awards’ Chair of the Board of Trustees, David Hall, and Director of Business Development, Neale Coleman, as well as guest speakers from One Awards’ partnership organisations. 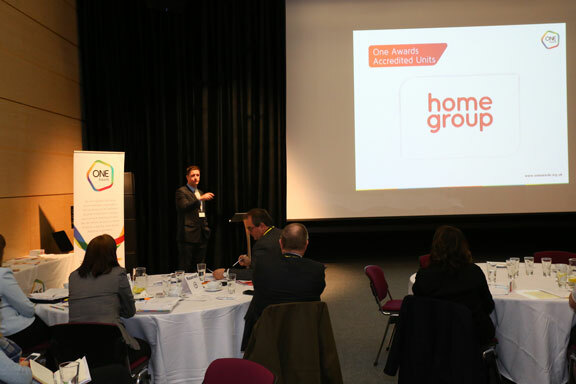 Graham Hasting-Evans, Managing Director of NOCN, a leading Awarding Organisation and Apprenticeship Assessment Organisation, delivered a presentation on the apprenticeship reforms that are coming into effect from April 2017. Graham talked about the challenges faced by the government that have pre-empted the need for reform. “Around a quarter of a million people enter the workforce each year with inadequate English and maths skills, which holds back people’s productivity and their ability to get an apprenticeship. “With mounting pressure to increase productivity in light of Brexit and the move towards globalisation in the UK economy, the Government needed to invest more funding in upskilling the workforce. The Apprenticeship Levy, which is being introduced on 6 April 2017, is an important factor in the fulfilment of the Government’s promise to create three million new apprenticeships over the next five years as a means of stimulating the economy. The levy will require all UK employers with a payroll over £3 million each year, to invest 0.5% in the provision of apprenticeships. All employers, whether eligible to contribute to the levy or not, will have access to funding for apprenticeship training from 1 May 2017. 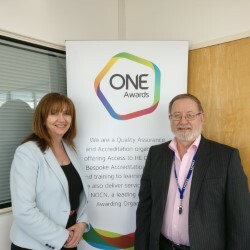 Following Cheryl’s presentation, Neale Coleman, One Awards’ Director of Business Development delivered a short speech which summarised the organisation’s work over the last 12 months before inviting One Awards’ Chair of the Board of Trustees, David Hall, to the lectern. 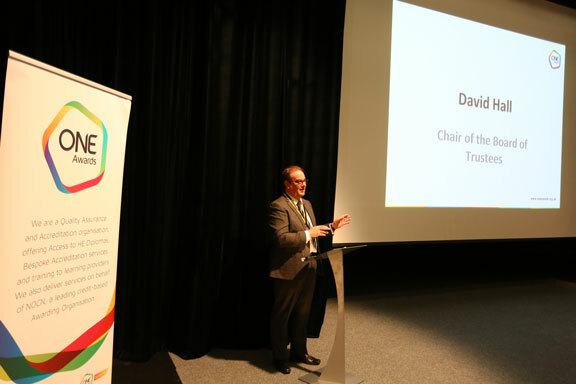 Despite the current pressures on the education sector, David took the opportunity to reassure attendees about the solidity of the established working partnerships between learning providers and One Awards. “The education sector is a world of shifting sands at the moment and we face lots of challenges ahead, but I think that the potential shift in apprenticeship delivery is the right thing to do. Closing the AGM, David extended his thanks to everyone for attending, to the trustees for their continued support and to Sunderland College for allowing One Awards to use its facilities. 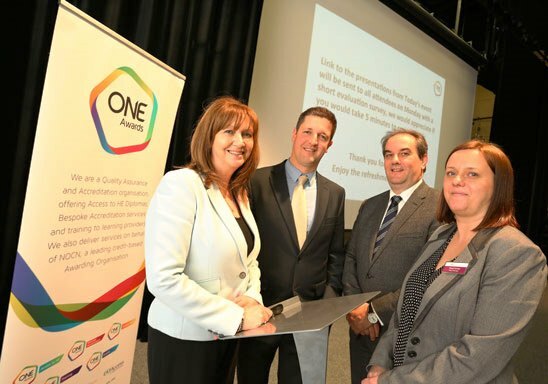 If you are a business person or education specialist and you would like to know more about the Apprenticeship Levy, contact One Awards by visiting: http://www.oneawards.org.uk/.